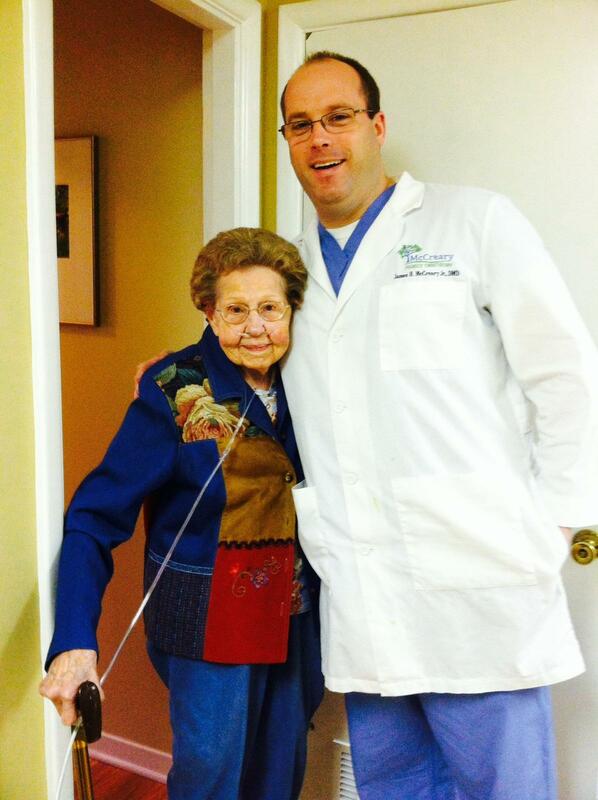 One of our favorite McCreary Family Dentistry patients, Mrs. Frieda Markert, is turning 94 on 3/19! Her caregiver is making a scrapbook for Frieda's birthday and wanted to include Mrs. Markert's dental family in the book! 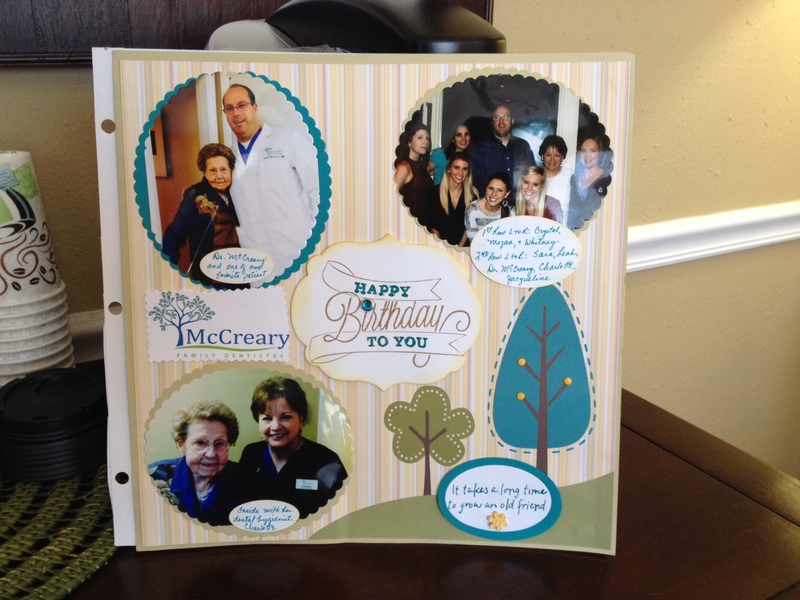 It's a 94 page scrapbook for her 94th birthday! When asked how her most recent appointment was, she said, "I was well cared for. All needs were met with grace and thoughtfulness." 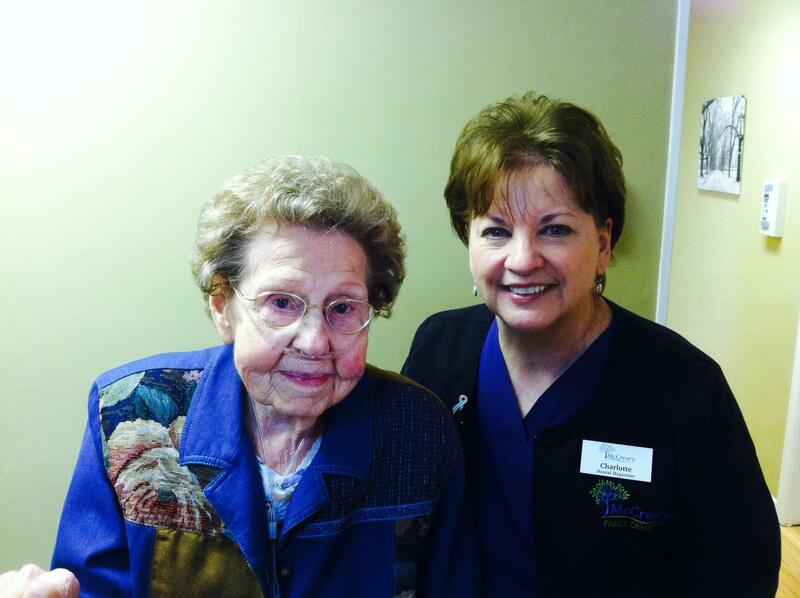 Freida enjoyed spending time with Charlotte, her dental hygienist, and Dr. McCreary!